We provide both off the shelf and tailored training packages to suit an individual’s needs and offer prospective students the opportunity to meet with our trainers and discuss their particular need prior to booking onto courses. Specialist training packages include our new Guild of Gas Fitters course, which provides the delegate with an opportunity to attend this course one day per month, enabling them to continue working whilst learning. Revision is offered within our specially equipped training centre. Revision is not purely based on classroom theory lectures but we offer practical revision to assist their learning process. 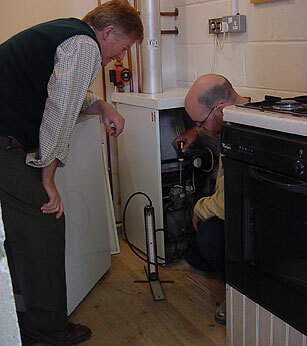 Within our fully equipped appliance bays delegates will have the opportunity to work on Boilers, Cookers, Fires, Water Heaters, Warm Air Units and Meters, whilst preparing for assessment. There is no additional charge made for any student who needs to re-sit an ACS assessment. We offer a range of courses and assessments complimentary to the gas industry, which can be added to the delegate’s range of skills.